Trinity Boys Choir is famed for its versatility. Up to 100 trebles are coached each week in a variety of groups through a wide-ranging repertoire. Boys continue to sing after the voice change, both alongside the trebles and in dedicated male voice groups. For further details of the choral groups see Tours. The boys are well known for their role as the Fairies’ chorus in Britten’s A Midsummer Night’s Dream, having appeared in eleven different productions worldwide. The choir is particularly proud to have appeared in the productions of Sir Peter Hall at Glyndebourne and Robert Carsen at the Aix-en-Provence Festival. DVD and CD recordings include A Midsummer Night’s Dream, The Cunning Little Vixen, Billy Budd, L’enfant et les sortilèges and Hänsel und Gretel from Glyndebourne and Carmen and Tosca from the Royal Opera House. The choir’s repertoire is large and diverse and varies according to the specific choral group. Programmes are tailor made to each event and there is a commitment to presenting new and exciting arrangements and compositions which are distinctive to the choir. The incomparable, virtuosic arrangements of David de Warrenne form an important part of non-religious programmes, as do specially commissioned works from our stable of composers. Works such as Handel’s Messiah and Mozart’s Requiem are frequently performed with orchestra and programmes of sacred music range from the English Renaissance to the most challenging contemporary pieces. 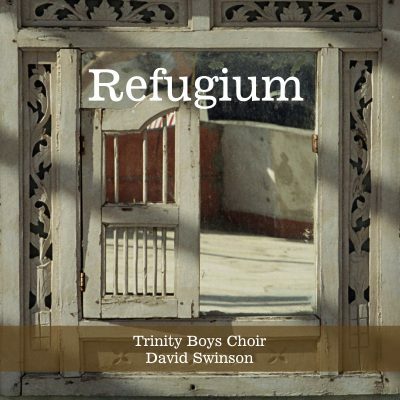 The choir frequently collaborates with the major London orchestras and has appeared on recordings with the BBC Symphony Orchestra and the London Philharmonic Orchestra. Performances at the BBC Proms have included collaborations with the Royal Concertgebouw Orchestra, the Cleveland Orchestra and the Lucerne Festival Orchestra. In 2004 the boys were honoured to perform Monteverdi’s Vespers in the Monteverdi Choir’s 40th anniversary concert in St Mark’s Basilica in Venice. The choir has since toured and recorded Bach’s St Matthew Passion with the Monteverdi Choir and has performed Handel’s Messiah with the Gabrieli Consort. In 2015 the choir was thrilled to be invited by the rock group Queen to mark the 40th anniversary of ‘Bohemian Rhapsody’ with a filmed tribute of the classic rock anthem. The boys famously featured in Bing Crosby’s final television appearance, his Christmas Show of 1977. Since then the boys have appeared on UK television in the Royal Variety Performance, Children in Need, The Pride of Britain Awards, Good Morning Britain, The One Show, Bring the Noise, and in the 2017 Strictly Come Dancing Christmas Special. Other Christmas specials include with Aled Jones, Bradley Walsh, John Bishop and Michael Bublé. In 2014 the BBC documentary ‘Messiah from the Foundling Hospital’ featured the boys singing alongside the Gabrieli Consort and Players. 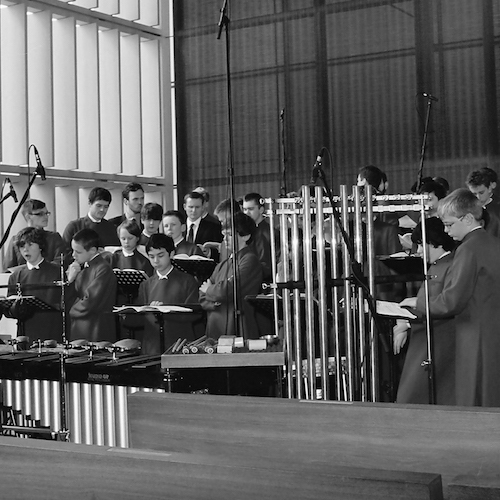 The choir frequently appears on BBC Radio 2, 3 and 4. The choir has appeared on numerous film soundtracks and the boys are experienced studio artists.